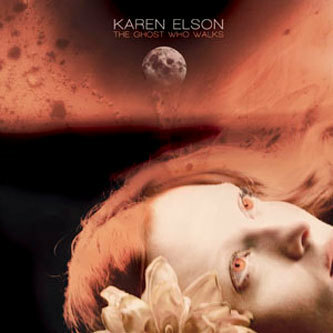 Delivering her debut album, supermodel Karen Elson has well and truly immersed herself in the culture of vintage Americana, leaving her native Greater Manchester behind in spectacular style as she reinvents herself as a Nashville chanteuse. 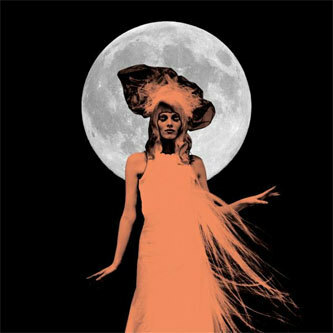 It's inevitable that the shadow of Elson's husband Jack White looms large over this record, particularly since he helms the production - and for that matter releases the record via his Third Man Recordings imprint - although in terms of songwriting and delivery Elson stands well and truly on her own two feet, establishing a captivating and characterful vocal persona across the record. For much of the album the former Oldham resident adopts a tentatively Americanised tone that fits with the lavishly turned out, vintage Nashville feel of the album. The song arrangements are suitably varied affairs, ranging between rustic, creaky acoustic pieces to more chamber-filling affairs that have an almost gothic sense of Southern grandeur about them. Lunasa gives a good example of Elson at her most exposed, delivering lovely, plaintively multitracked harmonising, making the ensuing '100 Years From Now' all the more surprising: it's a country cabaret turn that's not too far from the theatrical Americana of Tom Waits, but here Elson commands a more resolutely English delivery, which adds to a certain kooky end-of-the-pier sensibility. Aided by a backing band that includes not only hubby Jack White but also The Dead Weather's Jack Lawrence, My Morning Jacket's Carl Broemel and Jackson Smith (progeny of Patti Smith and Fred "Sonic" Smith of the MC5), The Ghost Who Walks is an immensely charming and - considering this is essentially a side-career for Elson - surprisingly assured debut.